The warning - issued last Friday and reported in the Evening Standard - originated from Plume Labs, a company whose aim is “making the air more transparent”. Following hour-by-hour “high” readings, Plume Labs’ advice was for parents to “take care” when they “bring baby out” and when doing outdoor sports, and to “take it easy” when cycling or eating outside. 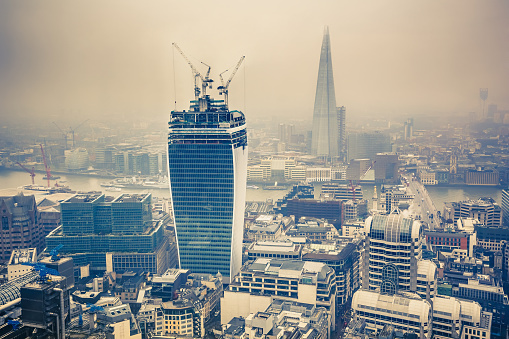 Plume Labs put the level of air pollution in London as “high”, based on World Health Organisation (WHO) limits, which are stricter for some pollutants than EU rules used by the Government and other experts. The advice from Public Health England for high pollution levels means the general population should consider reducing activity if experiencing discomfort. The warning follows London Mayor Sadiq Khan’s electoral pledge to make pollution one of his priorities. As part of this he has agreed to air quality alerts being displayed publically for the first time in the capital, at bus stops, Tube stations and roadsides. Khan said the warnings would help Londoners take "appropriate measures to protect themselves". Khan is also opposing plans for the third runway at Heathrow airport.